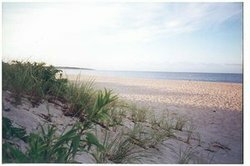 Search all Cape Cod vacation rentals here! Found a property you love? Be sure to save it! Save rental listings, searches, and receive notification when a new Cape Cod rental matches your search criteria- all by registering with our site. Contact the experts Seaport Village Realty today for help with your Cape Cod vacation rental search. Gorgeous views of Lewis Bay on the south side from this newly built Cape with the sandy beach just beyond the lawn. Quick access to deep water docks located at Hyannis Marina. The first floor has an open floor plan featuring an elevator that travels three floors, a great room, dining area for 10 and custom gourmet kitchen with granite counter tops, stainless steel appliances and hardwood floors. Three bedrooms, five bathrooms, bonus room with twin beds, sleep sofa, sleeps 10 comfortably. Quick walk to Hyannis restaurants and Hyannis Marina. Two car garage. I have a question about the property at 2 Railway Bluffs Yarmouth MA 02673 (#5139). I would like to schedule a visit for the property at 2 Railway Bluffs Yarmouth MA 02673 (#5139). Stunning, luxury waterfront home with a private dock on Lake Wequaquet. This home features beautiful furnishings and a sophisticated yet casual elegance that allows you to unwind almost immediately! There are 4 spacious bedrooms each with its' own full bath, including the master bedroom equipped with a balcony overlooking the lake, gas fireplace, double shower w/steam and a Jacuzzi tub. The main floor has an open floor plan, mini bar and gas fireplace designed for entertaining the easy way! The kitchen is a chefs delight with granite countertops, a six burner commercial Dynasty Stove and a beautiful view. The basement is finished with a bedroom, full bath and a full size kitchen. Pictures of the lake were taken from the balconies! That's how close the lake is! The sun sets directly behind the main house and the reflection off the lake is amazing. Sleeps 14! 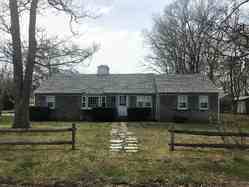 I have a question about the property at 205 Nyes Neck Barnstable MA 02632 (#5030). I would like to schedule a visit for the property at 205 Nyes Neck Barnstable MA 02632 (#5030). This light, bright and airy Cape home is all that you could ask for and more. The home features five bedrooms, three and a half baths, modern kitchen, a lovely parlor and spacious family room. Enjoy spectacular views from nearly every room of this beautiful home. The home is centrally located, just a short stroll from the beach, harbor and Main Street but tucked away in a quiet, peaceful neighborhood. 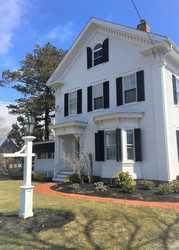 I have a question about the property at 64 Folsom Ave Hyannis MA 02601 (#6418). 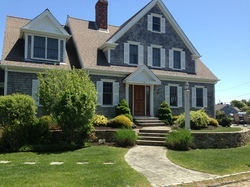 I would like to schedule a visit for the property at 64 Folsom Ave Hyannis MA 02601 (#6418). This gorgeous and updated home overlooking Lewis Bay has views from nearly every room and is just blocks to downtown Hyannis shopping and restaurants. Three bedroom, three bath home features a fully equipped kitchen, dining room, great room and extras throughout including a whirlpool tub in elegant Master Bath, central AC, and finished lower level. 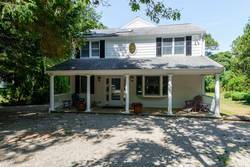 I have a question about the property at 22 Highland Street Yarmouth MA 02673 (#5142). I would like to schedule a visit for the property at 22 Highland Street Yarmouth MA 02673 (#5142). I have a question about the property at 33 Kearsage Avenue Barnstable MA 02632 (#5018). 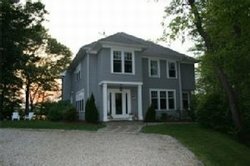 I would like to schedule a visit for the property at 33 Kearsage Avenue Barnstable MA 02632 (#5018). Walk to Pristine Bay Beach! Enjoy your fun filled vacation in this inviting, spacious 4 bedroom home! Walk down a beautiful country lane to enjoy the private Bayside Beach. Just minutes to Barnstable Village, Whale Watching, ice cream, galleries, general stores and fabulous restaurants. You'll feel right at home in this spacious, comfortable property that offers a private and tranquil setting yet is close to everything the Cape has to offer. Home offers 4 bedrooms with plenty of room for the whole family, fully equipped kitchen that opens to the beautiful sun room, two living rooms and two patios overlooking the manicured yard to sip a glass of wine or relax in the hammock while waiting for the BBQ. Truly a genuine Cape Cod experience. I have a question about the property at 37 Rue-Michele Barnstable MA 02637 (#5275). I would like to schedule a visit for the property at 37 Rue-Michele Barnstable MA 02637 (#5275). Spacious Walk to Beach Home! Set in a lovely beach neighborhood this spacious and updated home has everything you need for your perfect Cape vacation. Home features a large eat-in gourmet kitchen, dining room that opens to the expansive living room, three first floor bedrooms, two second floor bedrooms and a large lush yard with a deck and patio. All of this is just 2/10 of a mile from a beautiful neighborhood beach. 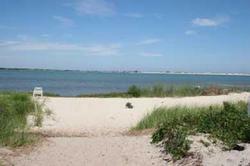 I have a question about the property at 35 Harbor Road Yarmouth MA 02673 (#5280). I would like to schedule a visit for the property at 35 Harbor Road Yarmouth MA 02673 (#5280). Beautifully renovated with every modern amenity, this antique home is a one of kind place to spend your vacation. Richly decorated yet still comfortable and relaxed, the home features three spacious bedrooms, two full baths and one half bath. The first floor offers a fully equipped kitchen, dining room, living room, den, and sun room. The first floor en suite master looks out on to the expansive back yard. Upstairs you will find two additional bedrooms and a second full bath. 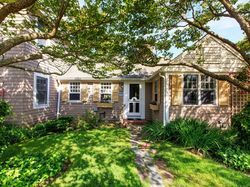 This home is perfectly located just a short walk from Sea Street beach, the ferries to Nantucket and Martha's Vineyard and all the wonderful dining and shopping Main Street offers. Home sleeps seven on two queen beds, one double bed and one twin bed. I have a question about the property at 358 Sea Street Barnstable MA 02601 (#X69156456). 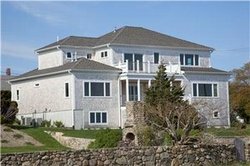 I would like to schedule a visit for the property at 358 Sea Street Barnstable MA 02601 (#X69156456). Enjoy water views from this 5 bedroom, 3.5 bath lakeside home set on an expansive lot with a shared private beach and brand new dock. This beautiful home features a parlor, glassed in porch, game room, family room, fully equipped eat-in kitchen, dining room, sunroom, patio and deck. Sleeps 10 on 4 twins and 3 queens. 2 jacuzzi tubs provide ultimate relaxation. Bring the whole family and rent out the apartment above the garage for an additional $1,400 that features a kitchen, great room, 3 bedrooms and 1 bath and sleeps an additional 8 people. Rental includes access to dock and beach pass. A vacation to remember! I have a question about the property at 483 Phinney's Lane Barnstable MA 02632 (#5083). I would like to schedule a visit for the property at 483 Phinney's Lane Barnstable MA 02632 (#5083). Views, Views, Views from this newly renovated four bedroom, two bath home. Steps from a private beach on one side and famous Kalmus Beach on the other side. First floor consists of fully appointed brand new kitchen and dining area with sliders to the deck for easy dining under the stars, washer/dryer, bedroom, full bath and bright and spacious living room with cathedral ceiling. Second floor features master bedroom with a new private balcony overlooking the water, second bedroom with sliders to a small deck with marsh views, third bedroom and full bath. Come for the week of July 4th and watch the fireworks from the front lawn! Sleeps eight on 1 queen and 6 twins. All this just minutes from downtown Hyannis and Hyannis Harbor. I have a question about the property at 90 Hawes Ave Barnstable MA 02601 (#5071). I would like to schedule a visit for the property at 90 Hawes Ave Barnstable MA 02601 (#5071).